One of the most important things that a scientist must do when conducting research, is to always make sure that the equipment he is using is suited to the experiment he is conducting. Experiments are by necessity tightly controlled environments, and if the environment cannot be controlled then it will have an adverse effect of that experiment’s findings, which leads to a false conclusion. 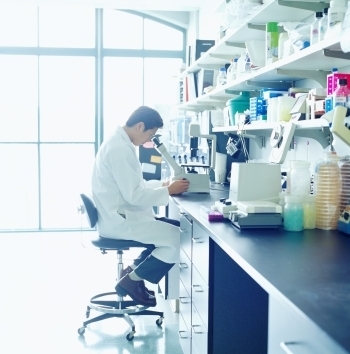 To that end, scientists and researchers have always recognised the importance of pharmaceutical cold stores and laboratory freezers in their labs. Which Type of Cold Storage is Suitable? They are also recognising the difference between refrigerated containers and your conventional refrigerator. The latter was designed primarily to store household groceries and perishable foods, such as milk, vegetables and meat. However useful or durable that may be, this is woefully inadequate if a lab worker needs to store DNA, a retrovirus or other precious samples. An enzyme, for example, needs to kept at suitably low temperatures in order to keep it from denaturing and losing activity. 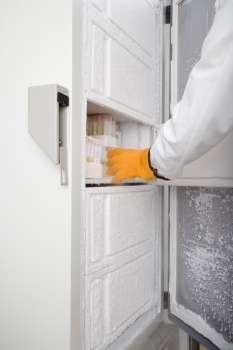 Cold storage is essentially to prolong its shelf life, along with any other substances that are unstable at room temperature. Losing a sample that could be several thousand at least in value is not fun in the least, especially not those funding your research grant. This is why pharmaceutical cold stores are of paramount importance. Likewise chemistry and physics often require easily controlled temperatures in order to conduct certain experiments, in the former’s case usually because certain chemicals can be extremely volatile at room temperature. Keeping said substances cool can literally mean the different between a published essay and a loss of various limbs. As such cold storage to keep those substances in can be invaluable and will quickly pay back its initial costs several times over during the course of its service. Selecting the right form of medical fridges has become an essential component of a scientific business’s purchase priorities. Cold storage systems specifically designed for the laboratory come with a wide array of features intended to assist scientists conducting their work in the lab. These features include things such as advanced alarm systems, tighter climate control, faster temperature recovery and storage flexibility. Likewise they can come in a variety of shapes and sizes to suit a wide range of needs, from keeping volatile substances from exploding to storing organic matter for prolonged periods. CRS Cold Storage is a British-based company dedicated to providing cold storage solutions nationally, and has a wide range of pharmaceutical cold stores containers available for purchase. Visit them at www.crscoldstorage.co.uk and decide for yourself whether CRS Cold Storage is for you.